Respect for the Past, Eyes on the Future! When setting out to write Taldor, The First Empire, I found myself presented with a circumstance unlike any that I had previously undertaken: round up everything we've ever said about the nation of Taldor in the 10 years the Pathfinder campaign setting has been around, put all of that into a single cohesive document, make sure it's exciting and inspirational for readers, and lay the groundwork for a Pathfinder Adventure Path campaign that will take place entirely within the nation and deal with the inner workings of its government and long history. But if anyone could do it, I told myself in true Taldan fashion, it was me. Right? The first major challenge was determining what tone we wanted to present Taldor with going forward, in part because we've been less than consistent on it in the past. Some sources made it out to be more like the Byzantine Empire, complete with laws dictating who could have a beard, while other sources described the court of Louis XIV, with nobles so incompetent that they couldn't even spell their own names correctly. The problem isn't with either presentation, but rather with the fact that there are a lot of fans of both sides of Taldor. I spent much of PaizoCon 2017 chatting with the community about what they wanted out of the book, what they liked about Taldor, and what never seemed to make sense to them. 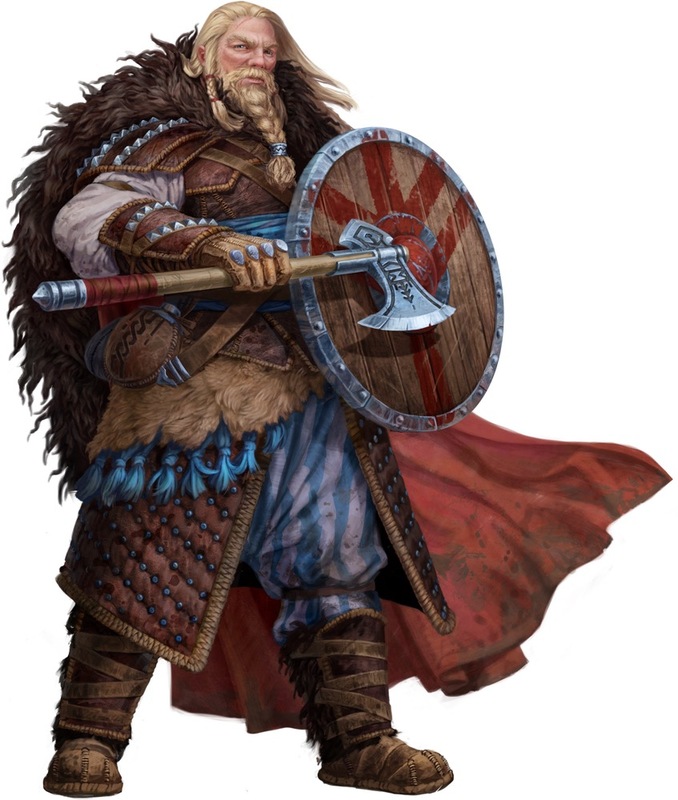 The development team held a series of meetings wherein we broke down our own views of the nation and what we needed from it in the future, from NPCs, locations, and events to seed into the campaign setting for forthcoming adventures to even larger meta-plots. Then I took all of that and used it as a guideline when combing through the myriad bits we'd said about the Inner Sea's greatest nation to construct what would become the book itself. I'm incredibly proud of this book, and think the final result is one of the best entries in the illustrious Pathfinder Campaign Setting line. It will be headed to subscribers and game stores soon, and I look forward to hearing the what the community has to say. Check back next week, when I'll go over a few of the reasons why Taldor is the greatest nation in the Inner Sea, and enjoy these glorious illustrations as a preview of what Taldor, The First Empire has to offer. This blog is making me interested in seeing what Paizo ended up deciding, but I'm confused who wrote it since it isn't signed ._. Would be neat to learn a bit more about how the empire works(/ed), and the social structures. Though according to the one review, the senate class is no longer there? Book cover image says Mark Moreland. Does it? Huh. Perhaps it's his work, then. Interested in the Baron Vinmark there! I wrote this blog. I don't know why my signature was left off, because it was totally sent in with the body of the entry. Who or what is Grogrisant(the lion)? For my part, though I do enjoy being able to ridicule incompetent aristocracy, there comes a point where it interferes with the verisimilitude, by prompting the question "How has a country, almost universally run by such bumbling idiots, not been overrun by their neighbours?". So I support the setting canon being of a mainly competent Taldor, with the option for future writers and GMs to sprinkle a few chinless inbreds in positions of unearned authority, as they see fit, whenever they need a comedic interlude. Looks at every nation in history. Also, all the neighbours are bumbling nitwits too. Charles II managed to restore the monarchy. And he was a grade-A doofus. 'Cause the Byzantines could be SUCH SHCMUCKS, clinging to the tatters of their pride in being the Roman Empire, even though the days of Justinian were long in their past... and then they'd get a good leader and enjoy a brief resurgence- never to full power, of course, but they'd regain some of what they'd lost, make some big reforms... and a decade or two later, they'd be right back into the mess their own arrogance and complacency created. I know. What were my people thinking? "Let's go back to being ordered around by syphilitic cousin-humpers. Because Cromwell banned mince pies." I'm confused how this got reviewed already, when today's blog says it's going out to subscribers soon. Does Paizo send out advance copies?? Or maybe this blog was written a while ago and is only getting posted now...I suppose that would explain it. EDIT: this could be my fault. Looks like this went up on Friday, not today. That first review did go up four days before any subscribers had their PDFs. I'm sure it is a simply wonderful book. I took a look. I dig it. My only complaint is that I started a campaign set in Taldor this past August, and you moved a few things. Stuff that was mentioned but not mapped now is mapped, and so I guess my PCs visited North Kravenkus. Also, I always got the sense of Taldor as having only a few big cities still -- Oppara, Cassomir, and Demgazi -- but the book adds a lot more. So the version of Taldor I've been running has a lot more "once-populated, now reclaimed by wilderness" areas.